A chat with environment biotechnologist who invented biosensors for water pollutants in Varanasi and is the only woman director at Benaras Hindu University. As I waited outside Kavita’s office, she was inside, shaking hands with a delegation that conferred her the title of Director – one of six directors at academic institutes in Banaras Hindu University. “As of now, I am officiated,” she told me later, hardly controlling a beaming smile. She is now the only woman to hold this top position. She has been was one of the only two female Deans among 17 faculty members at the 100-year-old university at time of interview. 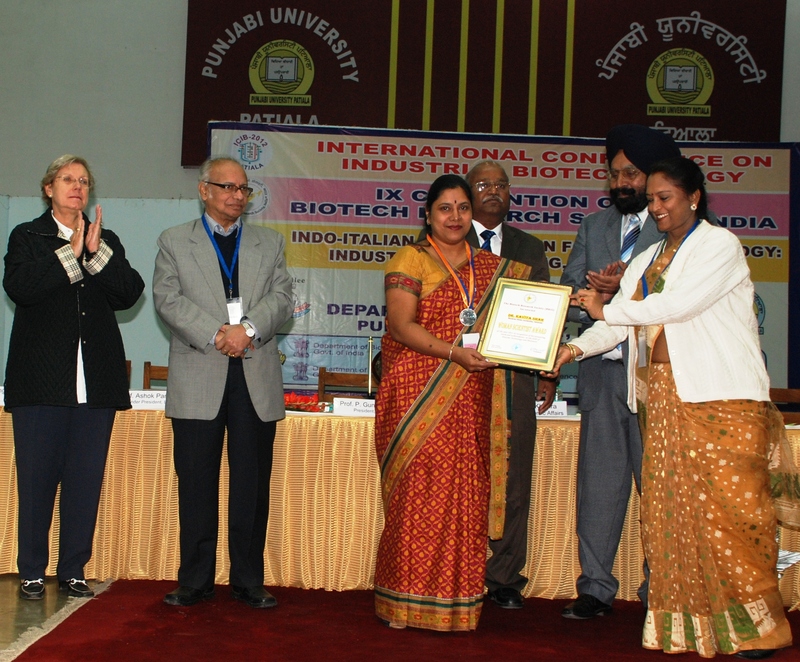 (You will hear about Ramadevi, the other female Dean at BHU very soon on this website.) In Feb 2018, Kavita updates us that her tenure as head and dean has ended but she still is the only woman Director at BHU, an institute of national importance infamous for dealing with sexual assault responsibly. The climb to the top hasn’t been easy. But Kavita tells the story of her 22-year-old scientific life as if she was describing events of a vacation full of adventure. 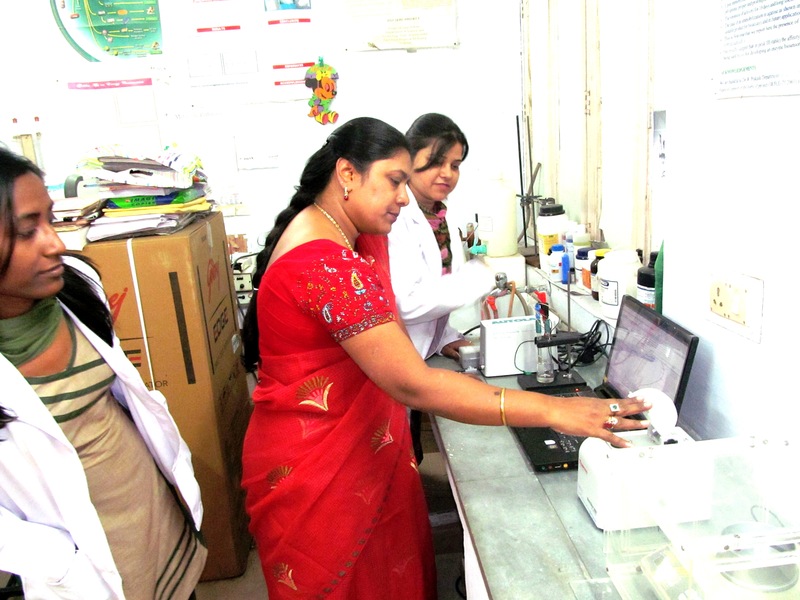 She started as a Chemistry student at the women’s college at BHU named Mahila Mahavidyalaya (MMV). She earned a Ph.D. from the same university soon after. Following stints in Japan, Geneva and NEHU (North East Hill University) in Shillong, she found herself coming back to teach at BHU. At this time, Kavita was already a researcher pursuing post-doctoral projects that required a functional lab to carry out experiments. Kavita decided to take up the challenge. What followed was two years of elaborate administrative procedures, several meetings and pleas for funding to set up a Central Instrumentation Laboratory – a deck of important scientific instruments including spectrometers, microscopes and lasers – inside an examination room at MMV. Even in her science, Kavita shows enterprise. She jumped from enzyme biochemistry into environmental biotechnology with the idea of using the same enzyme that she had worked on as a chemist. From this enzyme, which comes from waste left behind after a rice harvest, she has developed sensors for detecting biomolecules, nanoparticles, pollutants and dyes. The second highlight of Kavita’s research are the biosensors and bioreactors she developed to detect and break down pollutants in local small-scale dyeing industry in Varanasi. Along the way, Kavita managed to earn several grants from home and abroad. The result is 75 scientific publications. Amusingly, all along the interview, she managed to keep hidden juicy details when I prodded for specific information on unpatented and future work. She skimmed through with slick diplomacy. She did, however, hint at some exciting projects her research group is undertaking including one which questions the burning ritual on the river Ganga based on alarming levels of silting seen there. 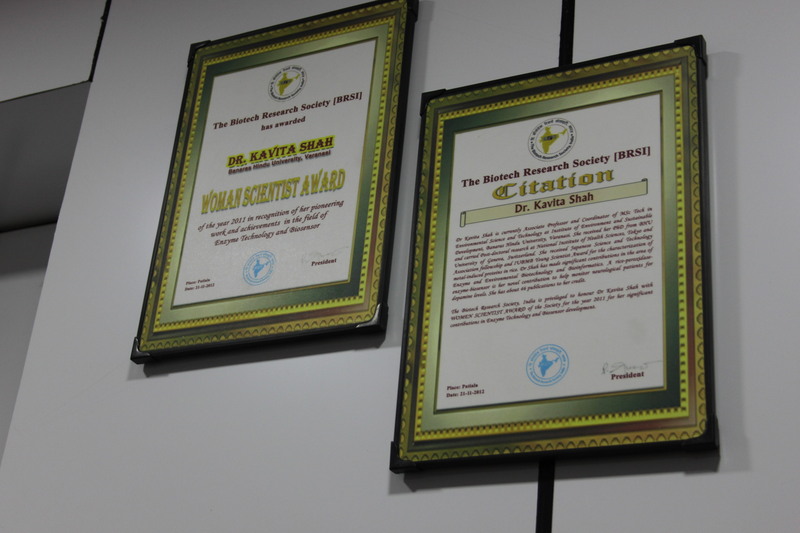 Indian universities and scientific institutes could use more leaders like Kavita. Her vision is clear and her endurance shines through. Her people skills have clearly been a major asset that has helped her along the way. Oh and she can also play the sitar. The secret to Kavita’s success seems to be her resourcefulness – she is able to recognise what is needed to get the job done. She fully accepts the situation and finds her way around it. In her experience, there are only two kinds of women who can go very far in research: those who have support from their families and those who rebel against the oppression. Below are Kavita’s comments on how universities and families could take steps towards equality. How can science become more equal? Kavita: It is important that higher authorities in universities are more open-minded. A very cordial relation and a spirit of mentorship are needed. Women should be given an equal platform to have their say. They cannot be just sitting in a crowd and totally unheard. Main positions should be given to women to show that they can also be good administrators. Women are more humanitarian in approach because their instinct is like that. I feel at least one senior position should be occupied by a woman. Any comments on the family system and society? Kavita: I am associated with a local girl’s school. I notice that by the time they are in class 12 they are married so they are deprived of further studies. Parents need counselling, but there are other constraints like poverty, big family size or safety issues. The unawareness of scholarship schemes by the government is also a problem. Kavita: I did all my education after marriage. I did my MSc, B.Ed, Ph.D., a couple of post-docs, then taught at NEHU and completed three more post-docs here. So I would say it’s all your will. Women tend to give up for the family, they succumb to the pressure and give up. It is that point where they need to think judiciously. When you start looking for a way the way comes to you. It is you who pave your own way. 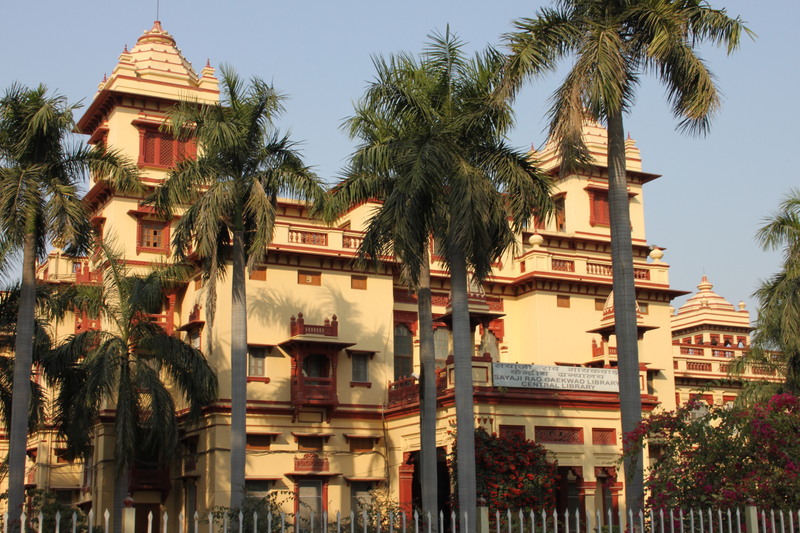 Banaras Hindu University has had many Female Deans and also Directors of Institutes in the past. The caption needs to be corrected. Also there are more than 125 departments, and not only 17 as mentioned in the above article. Thankyou for taking the conversation forward. This article reports on the number of departments and department head positions available plus the number of those held by females at the time the interview was taken. We will be very happy to update this report with more information on female leadership in BHU’s history.